Showcase your portfolio in an awesome interactive way with Hover Portfolio Modules. 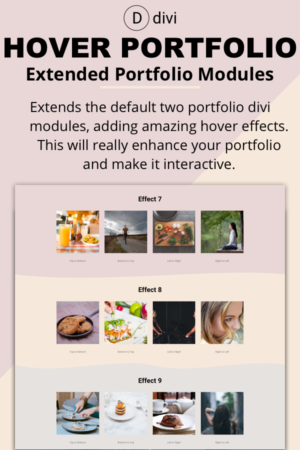 Hover Portfolio extends the default two portfolio divi modules, adding amazing hover effects. This will really enhance your portfolio and make it interactive.